Providing for current needs and future dreams. Wherever you are in life, proper planning, sound advice, and execution make a profound difference in your level of prosperity and comfort, and reduces worry. It's never too late... or too early... to begin building a brighter future. 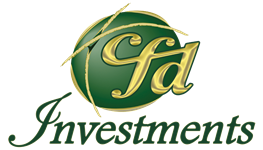 Advisory Services are provided through Creative Financial Designs, Inc., A Registered Investment Adviser, and Securities are offered through cfd Investments, Inc., a Registered Broker/Dealer, Member FINRA & SIPC. Fredrikson Financial Advisors is independently owned and is not affiliated with cfd Investments, Inc.